The ancient name of Chambal was “Charmanvati”. Meaning of Charmanvati is the river on whose banks leather is dried. Located in the eastern Rajasthan. 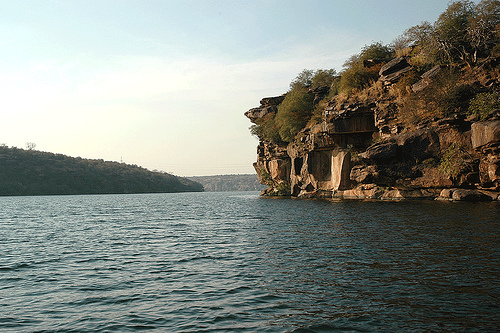 The mean annual rainfall over chambal basin is computed as 797mm, of which 93% falls in the monsoon season. 1. Right Main Canal- 372km long(124km in Rajasthan and rest in MP). 1.Rana Pratap Sagar Dam- 65,657ha in MP and 43,082ha in Rajasthan.